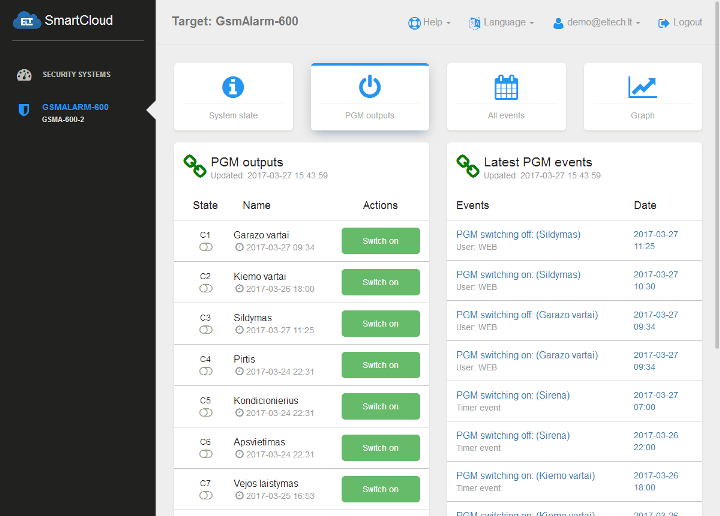 We have created a system which helps easily monitor or control GsmAlarm devices on your standard Web browser. 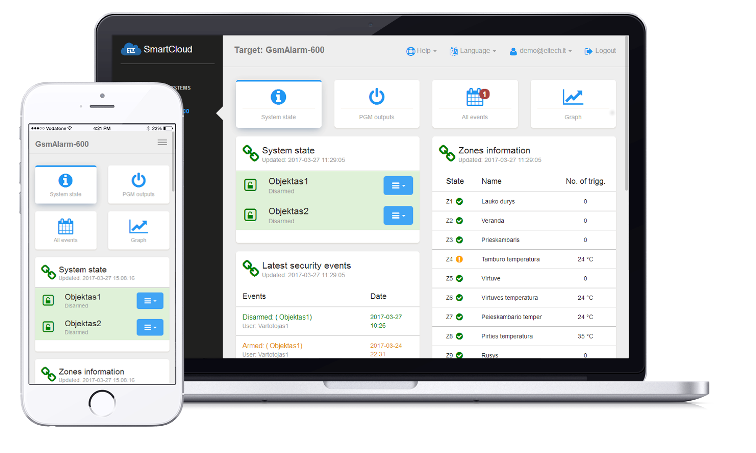 Simple and clear user interface adapted to any size of screen, so SmartCloud system will work well on any smartphone, tablet or computer web browser. 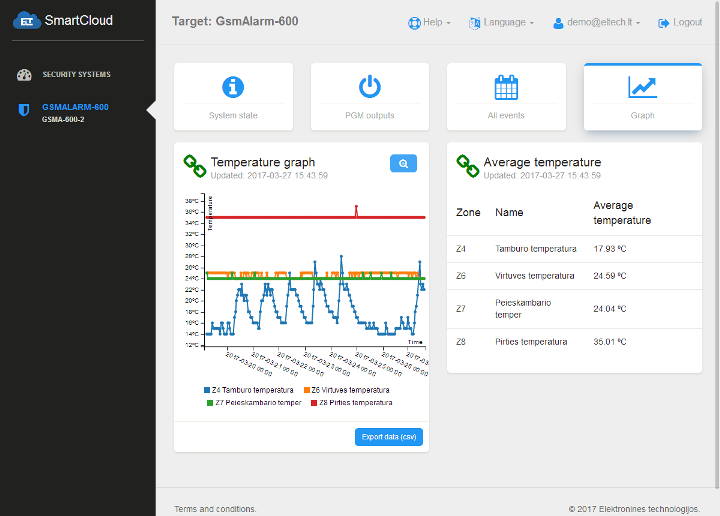 All GsmAlarm data will sync with the SmartCloud system, so you always see your security system parameters in real time. 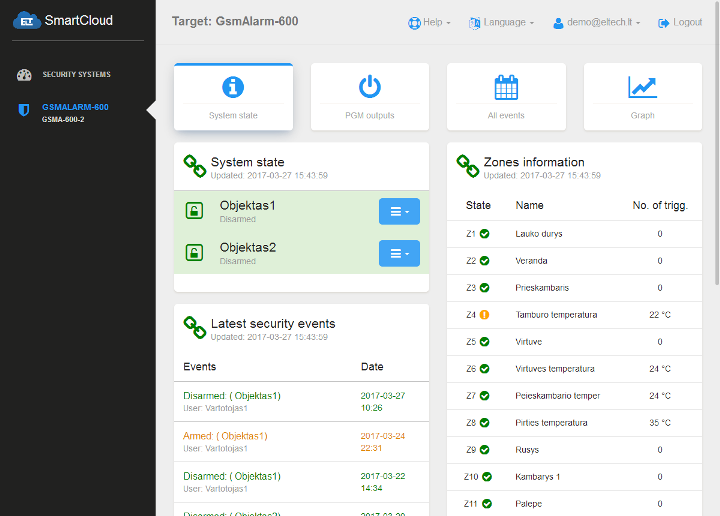 Monitor and manage your GsmAlarm security system PGM outputs directly from the SmartCloud system. 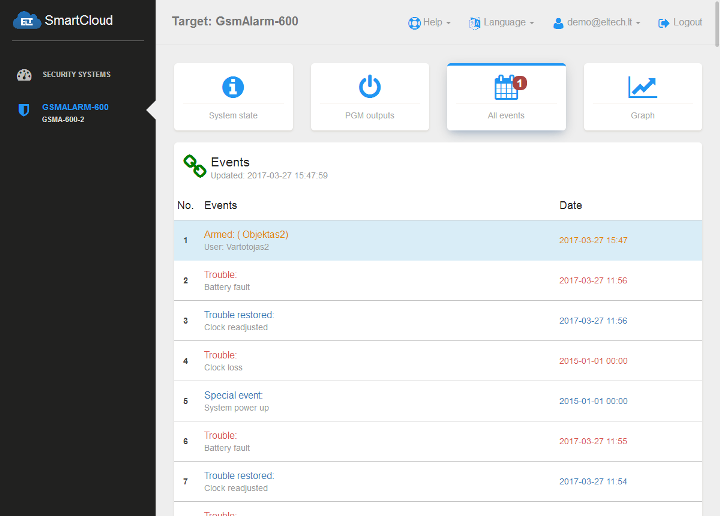 The event log will collect all the data about the GsmAlarm security system changes. You never miss any data! All temperature zones information displayed on the interactive graph. Zoom it, analyze, compare!